We are revamping our youth group in 2018-2019 school year. 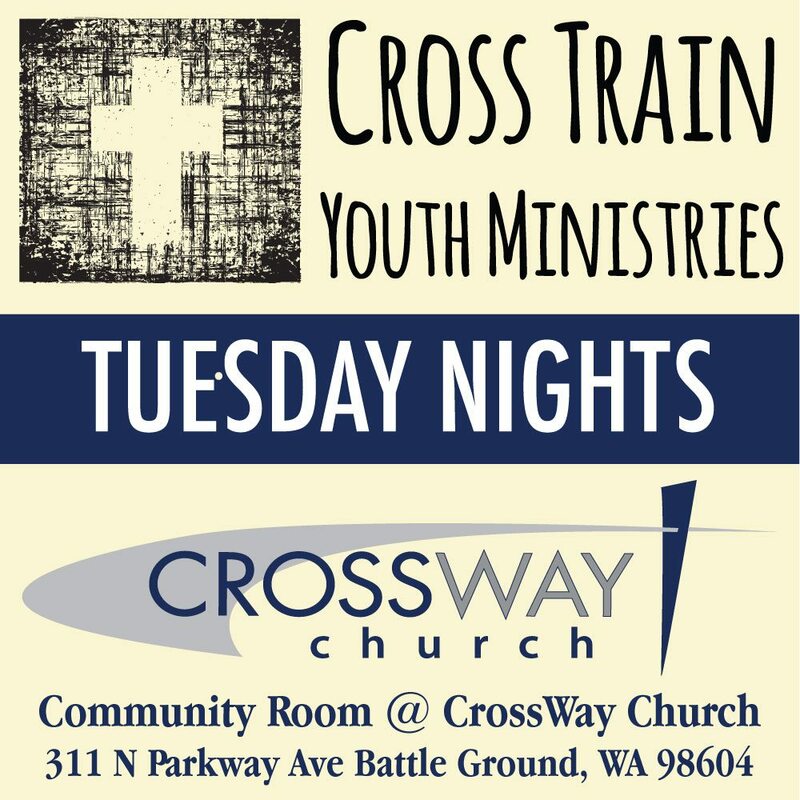 Cross Train Ministry: Our group normally meets the 1st and 3rd Tuesday night from 6:30 – 7:30 p.m. downstairs in the Community Room at our church. Check our calendar because we sometimes meet in other locations. Our group is currently geared towards grades 4-8 because this is the age of most of our kids. High school students are welcome to attend. Each meeting is a mix of fun and teaching time in a small group discussion format. The goal is to help the kids learn more about who God is so they can learn to grow in him. We also offer a variety of fun events (lock -ins, concerts, special activities, retreats, etc.) throughout the year. Check out our calendar for more information. Loren and Lisa Joner are our main youth leaders. Got questions? Click here to contact them via email or call the church at 360-687-3929. Our high school students are very important part of our church. Many teach Sunday school, play in the worship band, run sound and help in our nursery!